On November 28, 2018, at the 2018 PDC Winter Meeting, the 2018 PDC Richard Pearson Award was presented to Mara Nickerson, Chief Knowledge Officer, Osler Hoskin & Harcourt LLP. Read more. On November 29, 2017, at the 2017 PDC Winter Meeting, the 2017 PDC Richard Pearson Award was presented to Lori Berman, Director of Professional Development, Hogan Lovells US LLP. Read more. On November 30, 2016, at the 2016 PDC Winter Meeting, the 2016 PDC Richard Pearson Award was presented to Michele Bendekovic, Director of Attorney Development & Diversity, Bass Berry & Sims and Jeanne Picht Director, Attorney Talent Strategy, Fenwick & West LLP. Read more. On December 2, 2015, at the 2015 PDC Winter Meeting, the 2015 PDC Richard Pearson Award was presented to Burt Lipshie, Stroock & Stroock & Lavan, and posthumously to Anita Zigman, former Chief Legal Personnel Officer at Paul, Weiss, Rifkind, Wharton & Garrison LLP. On December 3, 2014, at the 2014 PDC Winter Meeting, the 2014 PDC Richard Pearson Award was presented to Stephanie Willson, BA, LL.B, CHRP, Chief Professional Resources Officer, McCarthy Tétrault. In March of 2014, we lost our colleague and friend, Richard Pearson. He passed away unexpectedly while rowing, one of the great joys and passions in his life. He was a longtime PDC member and immense contributor to our profession. He had a warm and engaging personality that inspired those around him. 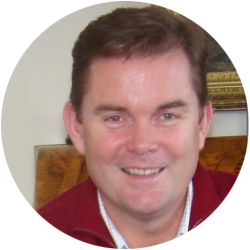 A native of British Columbia, Richard had 20 years of international experience, having lived and worked in London and Hong Kong, where he ran his own leadership development practice consulting to Fortune 500 companies and professional firms. He was passionate about coaching and learning and took a special interest in designing engaging and effective meetings. At Davis Wright & Tremaine in Seattle, he served as the firm’s Chief Learning & Development Officer. While in that role, he helped create the competency-based performance management system that forms the basis of the firm’s professional development activities, including learning, coaching, on-the-job learning and mentoring. Richard served on the PDC’s Board from 2011 – 2013 and also helped create the Pacific Northwest local PD group. 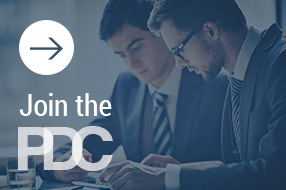 In 2012, he chaired the PDC’s SummerConference in Seattle, which featured the PDC’s first ever Innovation Tournament, in which all attendees – over the course of the conference – were asked to create and “pitch” proposals for enhancing lawyers’ professional development. Richard was the proud father of two children, Tory and Charlie. He also was an avid fitness enthusiast as he enjoyed basketball, yoga, golf, tennis, cycling and rowing, in which he competed at the local, regional and national level. His academic credentials included a law degree from Dalhousie University, coaching certification from the Hudson Institute of Coaching, and a master’s degree in law firm leadership and management from The George Washington University.